Nick Whetstone already did a AMP 6 kit review somewhat earlier. But when I bought this stuff myself, I thought I should share my findings with you. My brother, who is living in an other town told me that one of his friends who is building 300B single ended amps for years now is listening to a T-Amp powered by dryfit batteries. And that 41kHz is supplying kind of audiophile kits, and that there is also a hole mounted version kit. Especially the the last aspect makes it desirable for the enthusiastic hi-end DIY audiophile, simply because one could tinker and tweak and pooge endlessly. Done, ordered, delivered. All four kits in big letter envelope. This is really cute! When I ordered, I already got the instruction and construction information by email, as PDF document. The components are packed in small marked bags and organised such that it is quite impossible to mix components. I am building transistor amps for over 20 years and tube amps for several years now, and those are mostly my own designs, but I was very careful to build up that class T amp circuit board. It took me 4 evenings each 2 hours soldering while reading the construction manual, and an extra evening for winding the four inductive coils while watching TV. I liked to be slow, and to double check every step in the manual, double check every component and double every position in the circuit board. I measured the coils with my professional 4-pole component tester, which had exactly 0.01mH, although I managed to wind only 39 windings on each coil instead of 40. My effort has been rewarded, as the amp did not blow up on first power on, but played music. Sigh! The power amps on this board runs with 14.5 Volts, and is internally supplied by a monolithic voltage regulator. This board is meant to be driven by a transformer with about 15 AC, as the rectifiers are on board. The rectified voltage is about 19 to 20 Volts then. 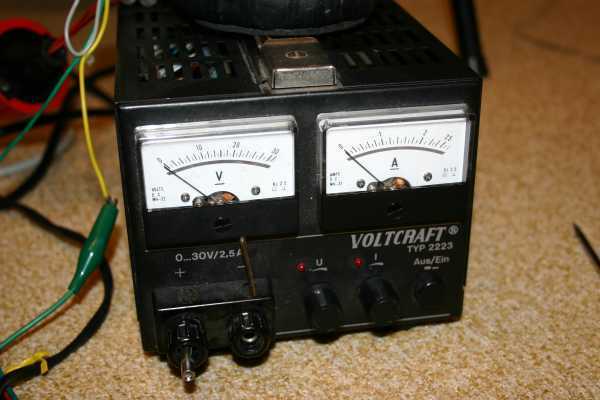 This voltage is buffered and then regulated down to 14.5 Volts with a voltage regulator chip. 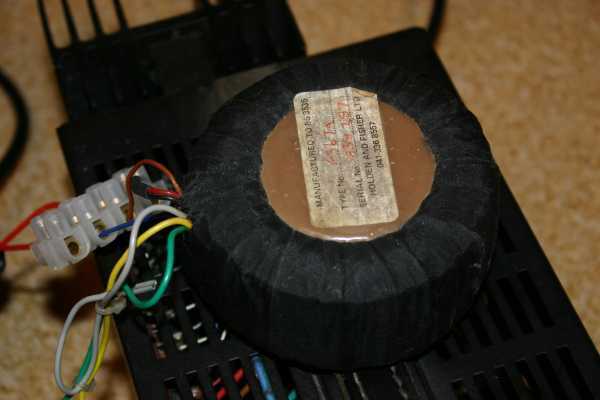 With these conditions there are several possibilities to power this stereo amp: either plain with a big torodial transformer with 15 Volts AC, then with regulated laboratory power supply delivering either 19 Volts DC to the point after the rectifiers, or 14.5 Volts directly connected to the Tripath chip. 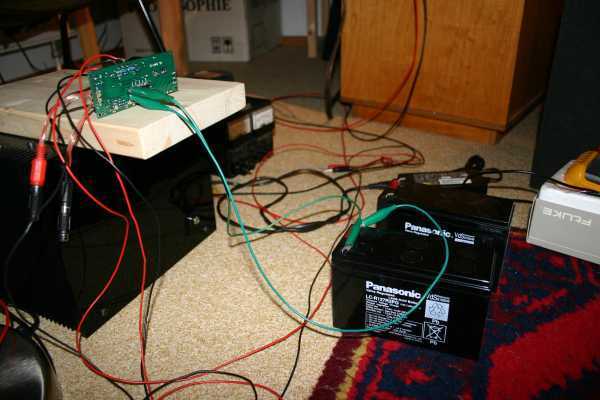 Then I had a laptop power supply delivering 19Volts DC. This is interesting, as it uses the same switching technology, and there might be some synergy or even disliking. 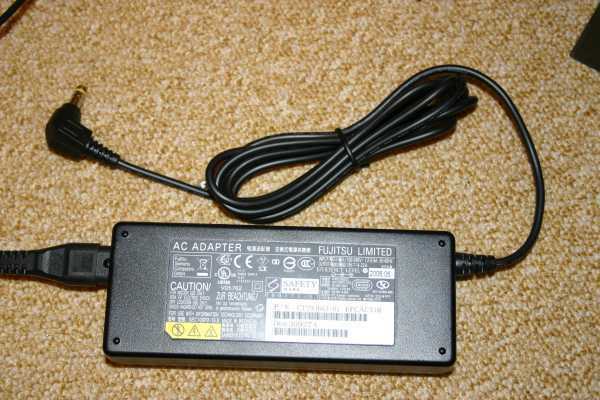 This switch mode power supply could be connected after the rectifier bridge. At last I borrowed some dryfit batteries from a friend. So I had a lot of options to test. Of course I let the amp run in for a few days playing continuously music from CD into a dummy load to give it the chance to settle. The SMPS had a somewhat flat presentation with highlighted mid and treble information. Listening fatigue was highest with this power supply. The sound was grey and uninvolving when connected after the rectifier bridge, and even worse when connected directly to the Tripath chip. This old Holden and Fisher transformer, which originally played in a Naim Nait 1, was the first power supply option which played music - this might be the Naim legacy. This was good enough to be compared to my own reference power amp (a small but refined 2*30 watts class AB design), and this is what I did. I invited friends to have second opinions, but our findings are the same: compared to a good solid state power amp, the AMP6 kit lacks high frequency fine resolution, and what is more annoying, it is not able to transport that easy going music flow sensation. For audiophiles, it also lacked soundstage. The batteries made the listening even a touch nicer than the torodial transformer, but the main critic points stayed untouched. Yes, this class T-amp is a bargain. And yes, there are many amps out there in the world, which sound worse than it, especially for the money. 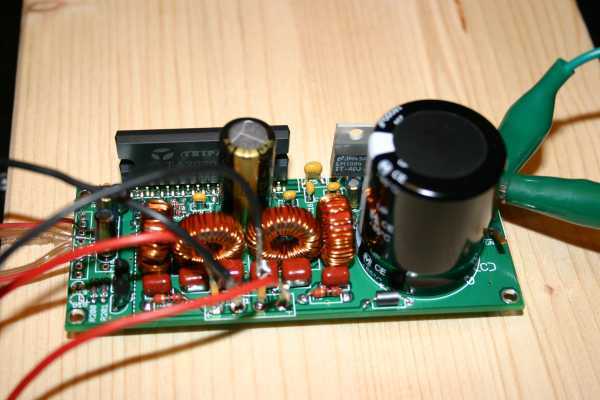 But for some money more a DIY enthusiast would be able to build a competing low watts power amp with better sonic results, and there are some famous designs available e.g. the J.L.Hood, or the Hiraga Le Classe A, or AKSA. And last but not least, I have absolutely no clue, why anyone would prefer this amp to a competently designed 300B single ended tube power amp.